Employer-Sponsored Health Insurance: Of Americans who have health coverage, nearly 60 percent secure that coverage through an employer-sponsored plan, often called group health insurance. Millions take advantage of the coverage for reasons as obvious as employer responsibility for a significant portion of the health care expenses. Group health plans are also guaranteed issue, meaning that a carrier must cover all applicants whose employment qualifies them for coverage. In addition, employer-sponsored plans typically are able to include a range of plan options from HMO and PPO plan to additional coverage such as dental, life, short- and long-term disability. Read more about group health insurance. Read recent news articles about employer-sponsored health insurance. 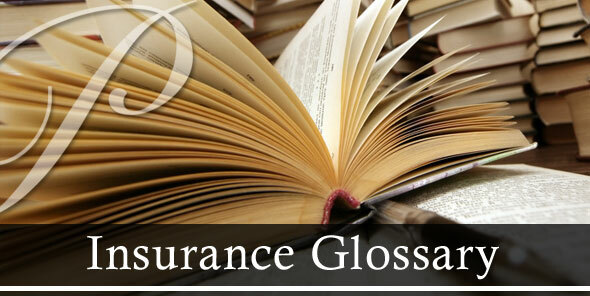 Group Health Insurance: Coverage through an employer or other entity that covers all individuals in the group. Read more about group health insurance. Health Cooperatives have been proposed in the Senate as an alternative to a proposed government plan or public option. The cooperatives, which would be structured as non-profits and owned by their members, could offer a network of health care providers or contract out for medical services. The concept championed by some Democrats would provide "seed money" for the cooperatives, which would then be sustained by customer premiums. Read news coverage about insurance cooperatives. Read this Commonwealth Fund history of health cooperatives. Private Health Insurance: Private health insurance – insurance plans marketed by the private health insurance industry – currently dominates the U.S. health care landscape, with approximately two-thirds of the non-elderly population covered by private health insurance. Coverage includes policies obtained through employer-sponsored insurance, with approximately 62 percent of non-elderly Americans receiving insurance provided as a benefit of employment. Another 5 percent of the non-elderly group bought coverage outside of the workplace on the individual health insurance market. Click private health insurance. Rescission: is a controversial insurance industry practice that has come under fire as an unfair tactic used to deny coverage to policy holders. If you've been a victim of rescission, your insurance company has received a claim from you, and then – after reviewing your application and medical history for undisclosed conditions or inconsistencies – has cancelled your policy at a point when you needed it most. Read recent news articles about rescission. Stop-loss: The dollar amount of claims filed for eligible expenses at which which point you've paid 100 percent of your out-of-pocket and the insurance begins to pay at 100%. Stop-loss is reached when an insured individual has paid the deductible and reached the out-of-pocket maximum amount of co-insurance. Student Health Insurance: In recent years, many colleges have begun requiring proof of health insurance for students. Coverage options include insurance through family policies and coverage through school-sponsored student health plans, now offered by more than 80 percent of public four-year colleges. Students may also seek coverage through an employer's plan if they're employed full time, or they can purchase their own individual health insurance plan from a licensed health insurance provider. And, depending on the state in which a student resides, the student may also be eligible for coverage by a state-sponsored risk pool, a program that provides coverage for individuals denied insurance by private insurers because of their health condition. Read more about student health insurance. Read recent news articles about student health insurance.